Hoss Astaraki is President and Founder of Frontline Broadband Inc., where he directs the technical architecture of both the Managed IT Services and Television businesses. He is an IT industry veteran with 20+ years of experience who has held progressively senior roles at reputable firms such as IBM and Research Capital Corporation. For more than a decade, Frontline has been serving the professional, financial, and investment banking communities, and most recently the residential community. He is an innovative leader who has generated a respectable client roster for Frontline across Canada and its industries. Hoss is responsible for the strategic development, innovation, and application of new technology and telecommunication, as well as ensuring all regulatory requirements are met with each technology he introduces. Over his career, Paul G. Smith has held the positions of CFO, CEO, director and Chairman. Mr. Smith was Chair of VIA Rail Canada's Board of Directors from 2010 to 2014 after having joined the board in September 2006 and was President & CEO of Equity Financial Holdings Inc. (TSX: EQI), a Canadian financial services firm he co-founded whose principal subsidiary is an OSFI-regulated deposit-taking institution. 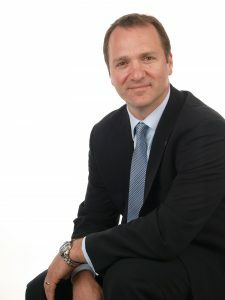 Mr. Smith is a director of several companies and, before joining the private sector, served as Executive Assistant to the Prime Minister of Canada. Mr. Smith holds a Master of Business Administration from INSEAD (France), a Master of Arts in Public Administration from Carleton University, and undergraduate degrees (Accounting, Political Science) from the University of Ottawa. Mr. Smith completed the Directors’ Education Program of the Institute of Corporate Directors (ICD) and holds the ICD.D designation. Mo Hirani joined Frontline in January 2018, serving as Managing Director for Frontline Managed Services. He oversees all aspects of the Managed Services business including business development and operations. Mr. Hirani has approximately 25 years of experience in both the Capital Markets and technology arenas, previously holding the position of Chief Information Officer at, respectively, Echelon Wealth Partners, Fidelity Clearing Canada ULC and Penson Financial Services. He was also Senior Vice-President of Technology at National Bank Correspondent Network. 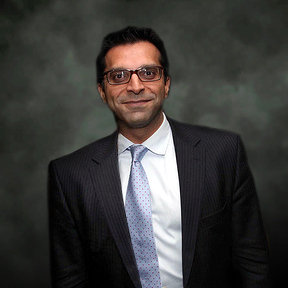 Previously Mr. Hirani ran a successful proprietary management consulting practice offering C-suite services to various financial services firms and technology providers. In his previous stay with Frontline Technologies, Mr. Hirani served as a board member when the company was listed on the Venture exchange. Mr. Hirani started his career holding a variety of business and technology roles at Merrill Lynch and CIBC World Markets.